(Family Features) When you’re young, an injury from a fall may sideline you for a few days or weeks, but a full recovery is usually quick. As you get older, the consequences of falls can become more serious, setting up a sequence of events that can have longstanding implications on independence and health. It doesn’t have to be that way, however. Although falls typically become more common and can be more serious as you age, falls are not a natural part of getting older. In fact, most falls are preventable. Knowing the factors that put you at greater risk of falling and taking proper steps can help prevent falls. Risk factors for falls in older people include overall health (chronic diseases and physical conditions), environment (hazards and situations at home) and behaviors, such as rushing around or standing on a chair to reach something. 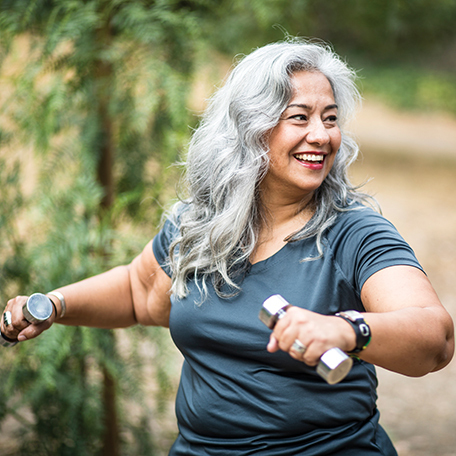 Stay active: Exercise helps increase or maintain coordination and muscle tone that can keep you steady on your feet and your reactions sharp. Walking, gardening or taking an exercise class are just a few ways to keep your heart healthy and your muscles toned. Manage underlying chronic conditions: The better your overall health, the lower your risk of falls. Chronic conditions like diabetes, depression, osteoarthritis, obesity and high blood pressure can increase your risk. Managing those conditions by seeing your health care provider regularly, taking medication as prescribed, eating a healthy diet and choosing appropriate exercise can help prevent falls. Review medications: Side effects from and interactions with some medications can cause dizziness that can increase the risk of falling. Types of medicine associated with an increased risk include sedatives and diuretics as well as those used to treat high blood pressure and anxiety. Talk to your doctor about all prescriptions and over-the-counter medicines you are taking. Get your eyes checked: Vision changes as you age, so it is important to get your eyes checked once a year to make sure your prescription is up to date and screen for any eye-related diseases like cataracts and glaucoma, which are usually treatable when caught at an early stage. Assess your home: Look around your home for potential hazards. Consider enlisting the help of a family member or neighbor who may be more likely to notice things you don’t. Install grab bars in your bathrooms, get rid of slippery throw rugs (or add a rubber backing) and keep passageways inside and outside your home well-lit and free from clutter and debris. For more tips and information, visit acl.gov/fallsprevention. Next Next post: Have a large evergreen that needs removed? Donate it to MDC for governor’s mansion Christmas tree.